11th Annual J.H. Rice Memorial Fly-in. Some of the 136 pilots and over 200 planes. Early Friday morning the pit area started filling up. Large number of airplanes line the pitt area. Gary Rice starts the morning with the pilot's meeting. Jim explains that this is a memorial to all the members and flying friends we have lost in the past. CD Gary Rice starts with the morning Pilot's meeting. Chuck Krupczak starts off the morning with the first flight. Brian Strachan with one of the planes he flew all day long. Brian had to have logged more flying time than any other person at this event. He knows how to WOW the crowd with impeccable flying. He shows intense consentration while flying. If you like fast flying watch Brian. WWI pilots and planes. See Video. Keith got some serious stick time during this event. Jim with his "Sky Piglet"
Check out the plane's tail. During the day Jim awarded prizes of $75 to different pilots in celebration of AMA's 75th Birthday. Jim takes a turn at some control Line flying. Howard Williams hoovering his control line "Bislob" plane. 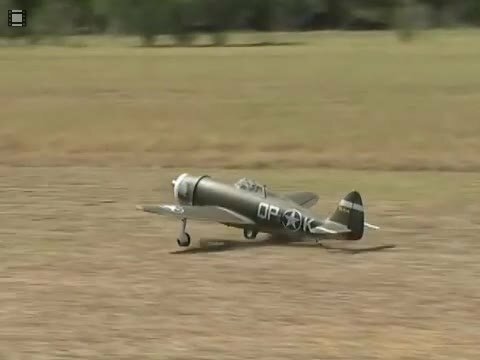 They said it "couldn't be done"
Kieth Moody with his scratch built twin engine/tail. No lack of power here. Kieth had the "Need for Speed" as you see him smilling. Randy Ritch with his Pitts Python impressed the crowd with his flying skills. Butch McEachern (Builder) and Randy Rich(Pilot) show off their Hobby Lobby Gilmore Racer. The pit area was full all day with modelers and planes. When Bill would come around the sound system in the plane would yell "Which way to Ireland"
Bill Holland and his wife with the Sprit of St Louis. Bill had a little problem with one of the struts but a quick fix put it back in the air. Tim Becker with his "Double Trouble" trying to figure out which side is up for landing. Barry Raborn shown here with his Big Corsair. The scale detail on this plane was very impressive. The flightline stayed busy all day long. 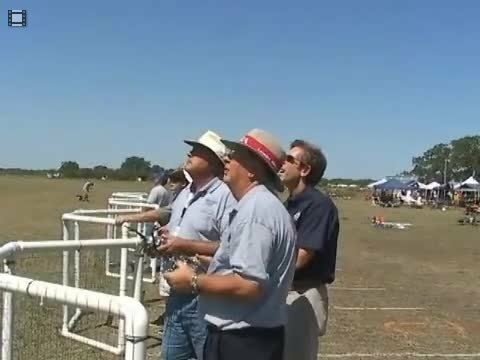 Mike Liable president of the Houston Space Center RC club gets in a stick time. MIke's Skybolt had a lot of flight time. Randy Hammond shows off his Pitts Phthon with a DA 100. Randy Brown flying his Yak with a DA200. 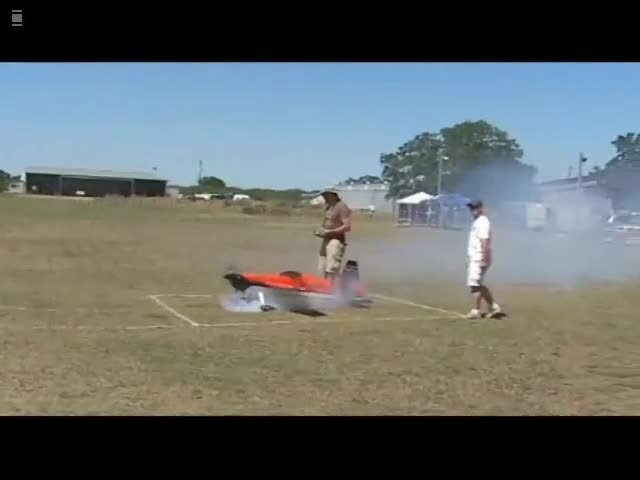 Keith Coover's PT 15 before the midair with another plane. Keith's plane after. Everybody felt his pain. What a loss. The PT 15 was a great looking, flying plane. Eric Eggemeyer with his P51. Looked great in the evening with all of its lights turned on. Eric Eggemeyer flying his AW EDGE 540 with "Smoke"
P.T. Ludwig with his CAP 580. 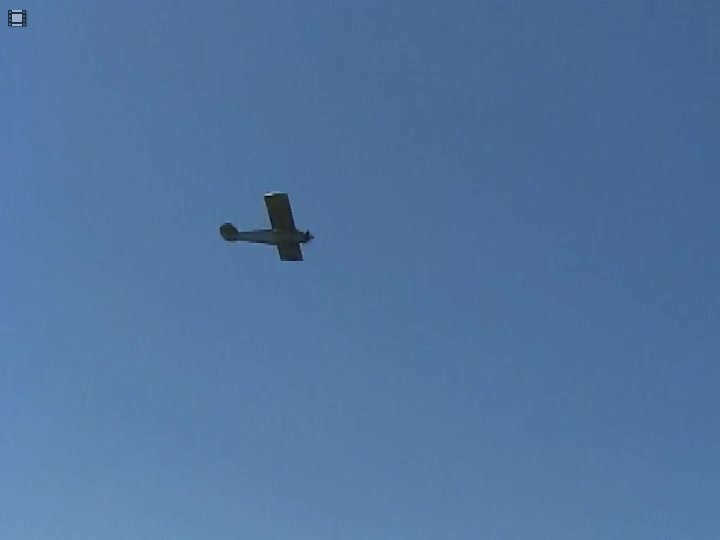 Mark Johnston and his Ohio State flying Biplane. Mark shown here watching for any UT or A&M Planes. Rick Carlo with his daughter spotting. Jeremy King with his Hobby Express G Shock Edge. This plane handled very well with a smooth landing. Al Ernst coming off the flight line with his Super Sportster. Another look of the very busy flight line. Andy and Chris had their hands full with all 5 pilot stations full most of the day. Al Ernst flying his Beechcraft Bonanza. Jim and his daughter watches his grandson Ian flying one of Jim's planes. Ian Black did a great job flying the Dream Machine. Brad Morgan flying his Electric Extra 300. Jim Rice is being interviewed by Simon Gutierrez from KSAT Channel 12 in San Antonio. After Jim he interviewed Mark Smith AMA's President about AMA and Modeling. 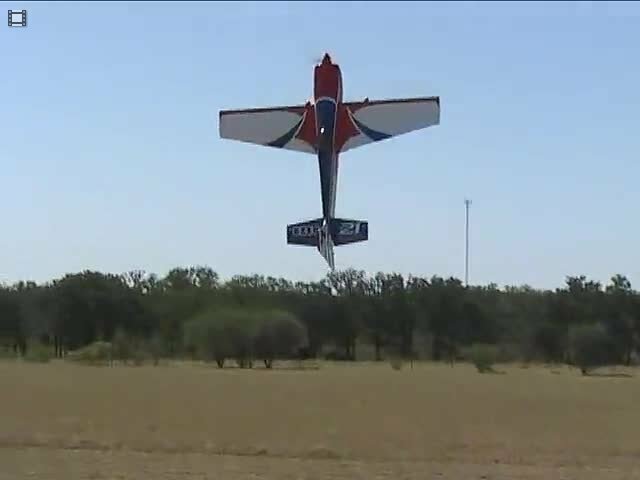 Frank Simas performed a flying demonstration for the KSAT 12 Team. The reporter was so impressed he took a photograph with his cell phone. The TV crew moved about the event area taking videos. All the District 8 AVPs were present as Mark Smith AMA President elaborated on the agreement to be signed. On Saturday the AMA and the Commemorative Air Force signed an agreement. This agreement would allow the two organizations to work together on teaching past aviation history and developing pilots for the future. CAF President Stephan Brown is buddy boxed by Jim Rice with AMA President Mark Smith Supervising. Jim and Stephan's flying lesson. Jim speaks to the audience about his dad's love of modeling and shows one of the planes his dad designed and built. Bill showed us he is a very qualified pilot. Jim gives Bill Pritchett AMA Director of Education a few pointers on how to fly the "Dream Machine". The event CD Gary Rice keeps things running smoothly throughout the three day event. Brian had a dead stick but was able to recover and land in the tall grass. Time to go and get the airplane. Jim, Linda, and Jack take a needed break from a very busy day. Frank Simas President and Rusty Koehler Vice President of TriCity Flyers take a moment to thank the Rice Family and other club members for their hard work making this event a great success. Pilot's Choice award went to Keith Coover. The Helping Hand Award went to the TriCity Flyers. The Danny Ball Helping Hand Award went to the Hill Country Flyers Club. The Rice Family Award went to Brian Strachan. Gary Rice sums up the event by thanking all the volentires for their hard in making this a great sucess. Rick Friseager accepts the Alpha 40 Trainer on behalf of the Hill Country Flyers. Charles Roccaforte (doing double duty) and George sheffield manned the registration desk. Before the event Jack and Andy were cruzing the flying field. "RED's" BBQ was the best ever! What can you say " This is Just Andy"
Frank Simas's family did a great job keeping every well feed during this event. Jack Matlock provides guidance to Andy on the Flight Line. This is the poster child for "How not to hand launch a Plane"
Charles Roccaforte and Scott Hooper taking a break from retrieving downed aircraft to watch some flying. Jim opened the meeting on the current status of District 8. Friday evening Jim held an AMA meeting with all the AVP and attending AMA Executives. Mark Smith gave a status report on the terrorist attempt using a model aircraft. Jim presented the AMA staff with "MAD" awards for Making a Difference in their hard work in AMA. IIona Maine Safety and Member Benefits discussed the handling Insurance Claims. Chris Brooks Public Relations and Development Director talked about his duties with AMA. Rich Hanson presented the current status of preposed FAA rules and regulations.